This bracelet is designed to wrap around the wrist bone for comfort. This piece also has very rounded edges at the opening of the bracelet. The brushed silver softly picks up warmth and depth of light. This bracelet is hand-carved and one-of-a-kind. 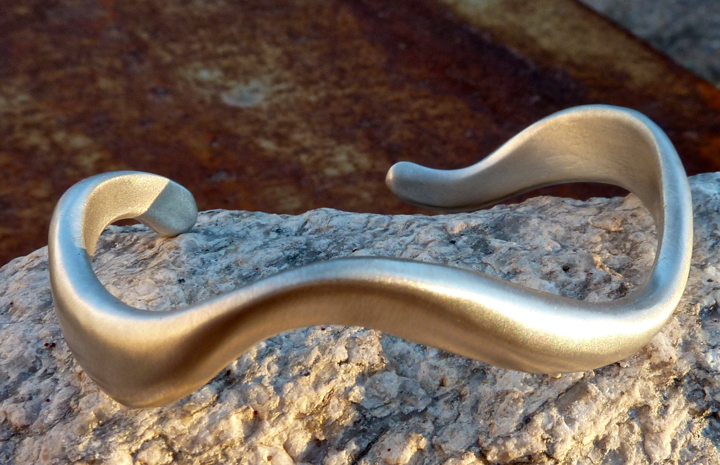 Besides brushed silver I can make similar pieces in polished and carved, and for any size wrist.